You know me, I love a natural perfume oil, right? I tend to wear perfume roll-on oils most of the time because they are so convenient. So when I was in a yoga class the other day and a beautiful scent wafted past me, I figured it was a perfume oil, and it was one that I needed to own! 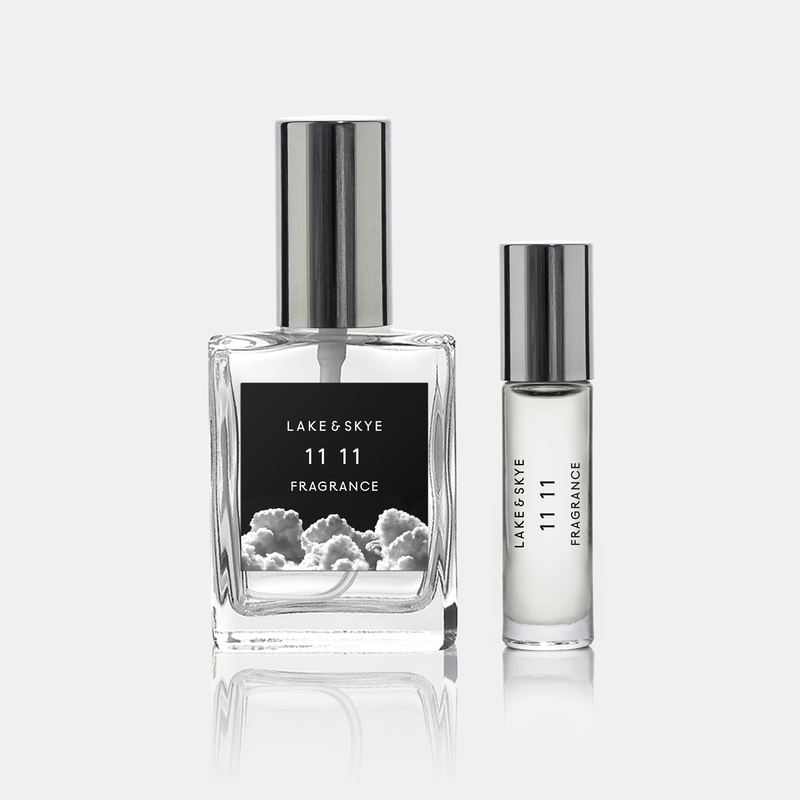 I asked the girl wearing it, and it turned out to be Lake & Skye’s iconic 11 11, which is extraordinary because of it’s clean, yet ethereal scent (I know many people who are utterly obsessed with it). You have to be careful wearing perfume in a yoga class (and some teachers ban it) because it can be off-putting for some yoginis, who prefer the natural smell of fresh sweat! But, Lake & Skye’s scents couldn’t offend anyone:) Courtney Somer, the founder, is of course a yoga teacher! She’s also a holistic nutritionist, an Aromatherapist, and clearly a soul sister. Her 11 11 (eleven eleven) roll-on perfume was indeed inspired by her yoga teaching, and wanting to elevate others. She sees her products as being beautiful gifts to give to oneself, or to someone you love. 11 11 comes in a perfume oil and an Eau de Parfum – a gorgeous gift for someone you love (which could be YOU!). If you purchase it as a collection, you get a travel (roll-on) and a home (Eau de Parfum), version. Lake & Skye also has exquisite floral waters. You can use these to spritz all over your skin, body, and hair – to impart a very delicate scent. I highly recommend the Infinite Collection, which consists of the Jasmine Floral Water and the 11 11 perfume oil. This combo is a marriage made in yoga perfume heaven. Thank you to Courtney for bringing such joy to us through the power of scent.